It's a day that marks a new beginning for incoming freshmen at The University of New Mexico. 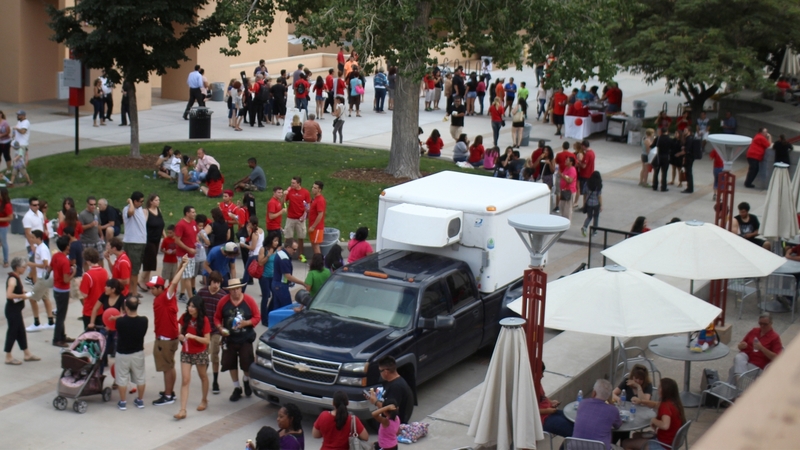 It all starts for those students when UNM hosts Freshman Family Day on Sunday, Aug. 19 starting at 4 p.m. It's a day that recognizes all incoming freshmen, introduces them and their families to University administrators, faculty, staff and important Lobo locations. The event is free, but individuals must RSVP through the website to attend. The day’s festivities conclude with a movie on Johnson Field for all students and their families participating. Formal Convocation from 4 to 5 p.m. (doors open at 3 p.m.) at Popejoy Hall. Freshmen are given free UNM t-shirts and seated together as a class in Popejoy Hall. The ceremony will open with a welcome which will be followed by performances and videos to give freshmen and their families a glimpse of student life at UNM. Food provided for Freshman and guests at the SUB and Cornell Mall area. Class Crawl beginning at 5 p.m.
Students may print out their class schedule and are taken on a guided tour to find where classes are located on campus. Movie on Johnson Field at 8 p.m.
“Avengers Infinity War” will be shown. For more information and to reserve tickets or volunteer visit the event website. For guidance on parking and further information. visit the instructions page.